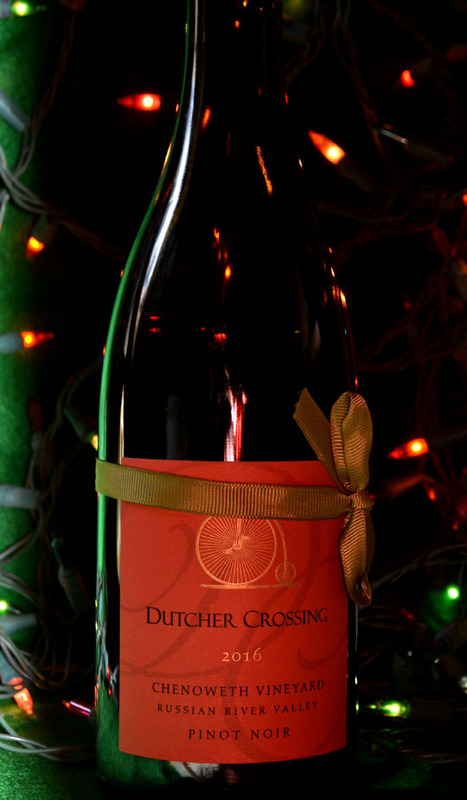 Get to the holiday spirit with a glass of Dutcher Crossing Winery’s 2016 Chenoweth Vineyard Russian River Valley Pinot Noir. Is it too much to say that a wine smells like Christmas? I don’t think it’s so far off the mark when I’m sampling Dutcher Crossing Winery’s 2016 Chenoweth Vineyard Russian River Valley Pinot Noir. To say that a wine smells “spicy” is a good start, but it’s good fun to put a finer point on it. Discovering aromatic analogues, whether they’re widely used by the critics in wine magazines or strictly personal to one’s own memories, can make the experience like unwrapping a present—and never mind, please, that the Chenoweth Pinot Noir samples arrived at the door with a ribbon and suggestion to give one away for the holidays, priming my mind for holiday associations! I am not talking here about a wine that’s redolent of a rotund, white-bearded gentleman smoking a pipe—although “pipe tobacco” is a well-used description for certain Cabernet aromas. Nor of something reminiscent of a crowded shopping center parking lot in the rain—though “first rain on pavement” may also be useful in describing some reductive Sauvignon Blancs. Dutcher Crossing 2016 Chenoweth Vineyard Pinot Noir ($46). 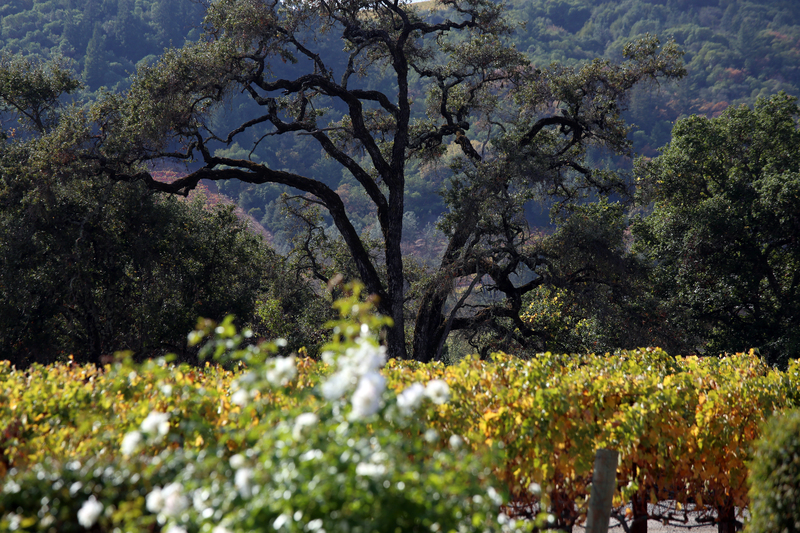 This wine, from the Chenoweth family’s vineyards surrounded by redwood forest in the western part of the Russian River Valley appellation, does show some of the Dr. Pepper and cherry cola aromas that are classic to the area, and then some complex notes of dark fruit and mulled wine spice layer in…Christmas spice, if you will. I’m talking here about sweet smelling spices like clove and nutmeg that one might add to mulled wine, along with the dried fruit stirred in the pot. A hint of pine needle adds a certain, not unpleasant bitterness to the palate, which is full of dark, red cranberry fruit—a homemade preserve, say, not the bright red kind that plops out of a can. Got the aromatic picture, so to speak? It’s spicy, but not “baking spice,” also often used for Pinot Noir and other reds. Sweet mulling spices and warm, vinous (“winey”!) notes speak of a different wine than dusty, savory Herbs de Provence, say, Chinese five spice, or even dried jalapeño pepper spice. And a bitter, woodsy element sweetened by the fruit of the season, cranberry. Now, if I had only gotten into the spirit of the season and gifted the second bottle, as the winery’s press agents suggested, instead of, well, studiously evaluating its aromatic profile.